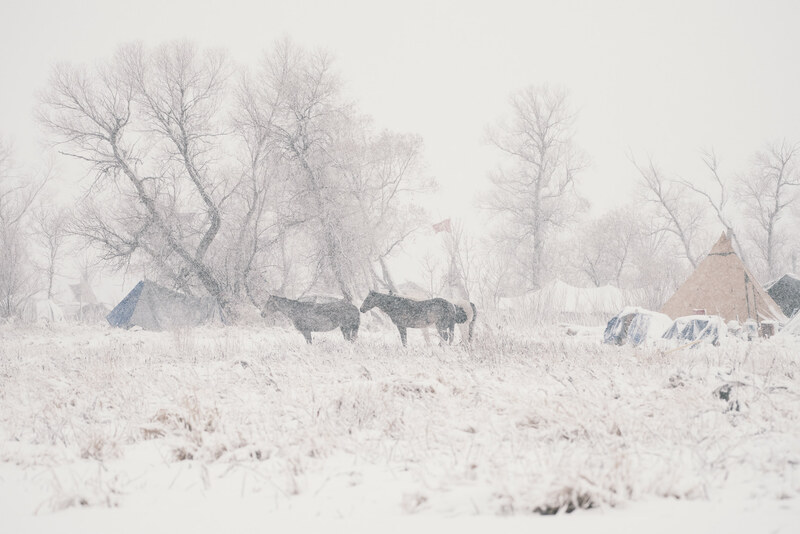 Stoic horses weather the first snowfall of North Dakota's coming winter. Local law enforcement had been expecting the cold weather to scatter the thousands gathered at Standing Rock. Don Cuny retorts, "They will leave long before we do-- this is our land and winter is in our blood."